The Daily Mail has a story : about them wanting to sell this one so they can do another. Cecil House first went on the market for £2.85million, soon after it featured on Grand Designs. The Woods took it off, however, when the building plot they were hoping to buy was sold. They tried again, last autumn, at £2.15million. 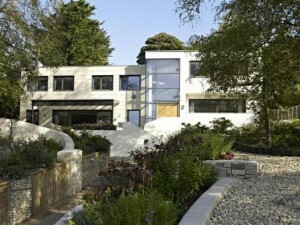 Fancy watching the Grand Design Episode again? obviously like your web site but you need to check the spelling on quite a few of your posts. Many of them are rife with spelling issues and I to find it very bothersome to tell the truth then again I will certainly come again again.